The Stevens MBA is a focused management program that allows students to tailor their education to their specific career interests. Students complete a core of courses that provide a broad overview of technology-focused management education, with special emphasis on leadership, innovation and analytics. They then then round out their degree through one of four concentrations in in-demand areas, or choose four electives to develop expertise in a discipline of their choice. 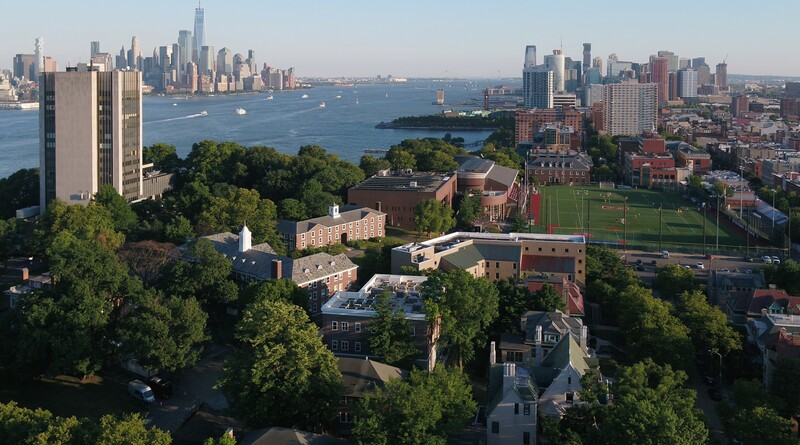 Courses in the MBA program can be delivered at our Hoboken campus or online — the Stevens online MBA regularly appears among the best in the country from U.S. News & World Report. The three prerequisite courses are intended to provide students with a solid foundation in basic business skills, to ensure their ability to meaningfully engage in high-level discussions with their classmates. Students with business degrees or backgrounds in these fields may speak with the program director about waiving one or more of these courses. This course covers the fundamental principles of finance. The primary concepts covered include the time value of money, principles of valuation and risk. Specific applications include the valuation of debt and equity securities as well as capital budgeting analysis, financial manager’s functions, liquidity vs. profitability, financial planning, capital budgeting, management of long term funds, money and capital markets, debt and equity, management of assets, cash and accounts receivable, inventory and fixed assets. Additional topics include derivative markets. This course will develop accounting analysis useful for managerial decision-making purposes. Topics will include an introduction to elements of financial accounting, cost-profit-volume analysis, manufacturing costs and elements of cost accounting, special decision analysis, budgeting, variances, and controllability and responsibility accounting. This course introduces managers to the essence of business economics – the theories, concepts and ideas that form the economist’s tool kit encompassing both the microeconomic and macroeconomic environments. Microeconomic topics include demand and supply, elasticity, consumer choice, production, cost, profit maximization, market structure, and game theory while the Macroeconomic topics will be GDP, inflation, unemployment, aggregate demand, aggregate supply, fiscal and monetary policies. In addition the basic concepts in international trade and finance will be discussed. Courses in this block provide fundamental skills in marketing, operations management and strategy — three crucial areas that give students mastery of topics central to every business unit in every industry. The study of marketing principles from the conceptual, analytical, and managerial points of view. Topics include: strategic planning, market segmentation, product life-cycle, new product development, advertising and selling, pricing, distribution, governmental, and other environmental influences as these factors relate to markets and the business structure. This course covers the general area of management of operations, both manufacturing and non-manufacturing. The focus of the course is on productivity and total quality management. Topics include quality control and quality management, systems of inventory control, work and materials scheduling, and process management. An interdisciplinary course which examines the elements of, and the framework for, developing and implementing organizational strategy and policy in competitive environments. The course analyzes management problems both from a technical-economic perspective and from a behavioral perspective. Topics treated include: assessment of organizational strengths and weaknesses, threats, and opportunities; sources of competitive advantage; organizational structure and strategic planning; and leadership, organizational development, and total quality management. The case method of instruction is used extensively in this course. The three courses in this block will challenge you to think differently about leadership — how to manage resources, inspire teams and foster innovation. You'll get a better sense of your personal leadership style while developing the confidence and capability needed to fearlessly attack missions and drive change. Project success depends, largely, on the human side. Success in motivating project workers, organizing and leading project teams, communication and sharing information, and conflict resolution, are just a few areas that are critical for project success. However, being primarily technical people, many project managers tend to neglect these "soft" issues, assuming they are less important or that they should be addressed by direct functional managers. The purpose of this course is to increase awareness of project managers to the critical issues of managing people and to present some of the theories and practices of leading project workers and teams. Executives make decisions every day in the face of uncertainty. The objective of this course is to help students understand how decisions are made, why they are often less than optimal, and how decision-making can be improved. This course will contrast how managers do make decisions with how they should make decisions, by thinking about how “rational” decision makers should act, by conducting in-class exercises and examining empirical evidence of how individuals do act (often erroneously) in managerial situations. The course will include statistical tools for decision-making, as well as treatment of the psychological factors involved in making decisions. In this course, students will evaluate and create their own prospective business strategies. They will develop an understanding of entrepreneurship and innovation in starting and growing a business venture. Students will be given an opportunity to actually start their own business or create a business in their company by learning how to take advantage of the new order of business opportunities of the information age. This course’s main objective is to show students how to identify these opportunities, be able to formulate and evaluate both qualitatively and quantitatively whether the opportunity is worth pursuing, and, of course, how it may be pursued. Actual case studies and experiences will be intertwined with the course content. Courses in this block emphasize highly advanced analytics techniques that will teach you the ways successful managers look at and use data in understanding how markets work and making better recommendations to guide the enterprise. This course explores data-driven methods that are used to analyze and solve complex business problems. Students will acquire analytical skills in building, applying and evaluating various models with hands-on computer applications. Topics include descriptive statistics, time-series analysis, regression models, decision analysis, Monte Carlo simulation, and optimization models. This course is intended to integrate all previously taken coursed in the program by presenting a set of increasingly complex business problems. These problems can be solved through analytic skill taught in this and previous courses. In particular, the course is intended to reinforce the understanding of analysis as way to build models that can focus attention on parts of the system that can be improved through intervention. The early part of the course uses synthetic data and empirical data readily available for analysis. The second part of the course encourages students to state and solve their own problem, gathering their own data as a part of the analytic process. The Stevens MBA curriculum includes four elective courses, giving you the flexibility to explore a discipline in depth or further round out your studies. If you seek more structure, you can use your elective courses to pursue one of the below concentrations, each of which is aligned with a distinct area of need in industry. How do you move beyond "innovation" as a buzzword, to ensure you're creating processes that identify and reward real innovation and nurture a culture that effectively pushes boundaries in ways that benefit the business? Courses in this block showcase successes and teach you to leverage new methods in obtaining better results. Innovative organizations are led by people who relentlessly nurture creative collaborations. These leaders stimulate imagination, teach others how to turn imagination into creativity, and build group structures and processes to enable people to turn creative ideas into innovations that drive business results. This course builds individual awareness of creativity and collaboration skills while increasing the student’s capacity for both. It teaches the science behind techniques, tools, interpersonal skills, leadership skills, organizational strategies, and environmental designs that increase group effectiveness. The overall goal is to strengthen the student’s ability to lead others to address meaningful problems and possibilities wherever they may be found. This course deals with the theory and methods associated with design thinking, a problem-solving protocol that spurs innovation and solves complex problems. Design thinking involves a unique form of inquiry which goes well beyond product and service design. Students will develop an appreciation for design and develop skills for studying design systems. These concepts and methods have wide applicability as they can be used to design organizations of people, information structures, compensation systems as well as the entire consumer experience. Applying these approaches can often create entirely new systems that are more useful and usable. The logic of this approach can sometimes solve “wicked problems” which have defied previous solutions. This course introduces the student to topics in the management of technology and examines the critical role of technology as a strategic resource to enable management to achieve organizational objectives. Topics include entrepreneurship, developing and managing new ventures, managing innovation, the technology life-cycle and technology forecasting, management of research and development (R&D) personnel and projects, evaluation of R&D projects, and integrating technology strategy with the organization’s overall business strategy. Courses in this concentration go beyond basic concepts in finance to prepare students for leadership roles in this industry, or in the financial departments of companies of other disciplines. Our location, just minutes from Wall Street, makes this a popular choice with many Stevens students. This course addresses the fundamentals of venture capital, which includes the venture capital industry, the structure of venture capital firms and venture capital investments. It addresses in some detail the relationship between venture risk and return, the cost of venture capital and the valuation of high growth companies. The course covers a variety of valuation methods as well as analysis of company capital structure or “cap tables”. Students use software tools to determine the value of stocks, options and special features of preferred stock. Topics related to the finance of innovation and the relationship between strategy and venture finance are also covered. Lessons learned are reinforced through case analyses and real examples from the industry. This course takes a practical approach to managing investments. It covers a wide variety of investment vehicles ranging from pure equity and debt offerings to complex derivatives and options. Various investment strategies are presented which are focused on the different fundamental approaches and tactics used by leading investors to achieve their financial goals. The course also focuses on investment styles, including momentum, growth, income, distressed, asset allocation, and vulture investing, to name just a few. Students participate in real time simulation experiences to create viable portfolios of stocks, bonds and other investments; while tracking their performance against the overall market and the class on a weekly basis throughout the course. This course covers the fundamentals of financial derivatives, including the basic properties and the pricing of futures, options and swaps. It also explores trading and hedging strategies involving financial derivatives. Special topics, such as exotic options and credit derivatives, are explored. The course provides the foundation of financial derivatives and lays the ground for a rigorous risk management course and other advanced quantitative courses, such as stochastic finance. This course serves as a second semester sequence in corporate finance. Students enrolling should have a mastery of the topics of covered in Managerial Finance I (MGT 623) including time value of money, capital budgeting, risk adjusted hurdle rates, managerial accounting, and ratio analysis. Among the topics covered in MGT 638 are: leverage on the balance sheet and weighted average cost of capital; bankruptcy, turnarounds, and recapitalizations; international currency hedging; stock options; private equity valuation; mergers and acquisitions; and the issuance of public and private securities. In today's globally connected world, information systems are integral to company operations. This concentration blends both strategic and tactical perspectives, providing you with skills that enable you to advance to the highest ranks within a corporate IT department. This course focuses on the issues surrounding the design of an overall Information Technology architecture. The traditional approach in organizations is to segment the problem into four areas network, hardware, data, and applications. Instead, this course concentrates on the interdependencies among these architectures. In addition, this course will utilize management research on organizational integration and coordination. The student will learn how to design in the large, make appropriate choices about architecture in relationship to overall organization goals, understand the different mechanisms for coordination available, and create a process for establishing and maintaining an ongoing enterprise architecture. Excellence in project execution is the hallmark of successful companies. This concentration provides you with the skills to lead complex projects and programs within organizations. It leverages new concepts in strategic project management and leadership that were developed by School of Business faculty and have achieved international acclaim. This course provides a theoretical perspective on project management for a better understanding of project implementation in modern organizations. The course is based on the premise that success in project leadership depends on a proper managerial style and attitude, and not on specific tools for planning and controlling. The course focuses on developing the manager’s conceptual thinking and on building "the project manager’s mind." The course helps managers see the entire project landscape and the long-term issues that are critical to project success. It will also address the organizational aspects of initiating and running the program. This course deals with advanced problems in project management that were not addressed in previous courses. It also expands on several previously mentioned topics. The course addresses the critical points in project management for the experienced project manager and looks at projects in their broad sense, as seen by top management and from an organizational global perspective. This course focuses on key leadership skills for addressing the complex challenges posed by program management, highly-matrixed environments and cross-national collaborations It’s purpose is enhance individuals’ abilities to develop others, strategically integrate efforts across groups, and drive change. The concepts presented are theory and research driven so that participants can deepen their conceptual understanding. At the same time, the course calls upon learners to address real-life challenges they face as program and or director level leaders. Each session presents effective techniques and uses experiential exercises or assignments to provide plenty of practice. The course also requires participants to further transfer learning to their workplaces through focused development planning and coaching support. MGT 678 Technology Commercialization Practicum. MGT 810 Field Consulting Program. MGT 798 Application and Integration of Technology Management. Each of these courses demand the application of the lessons in analytics, leadership and innovation taught throughout the curriculum. Technology Commercialization Practicum is an opportunity for students to use what they've learned about entrepreneurship to start a business or create a product. The Field Consulting Program gives students real-world experience by putting them to work with managers at a company on an industry problem, concluding with a formal recommendation to corporate leadership. The application course is a high-intensity business simulation in which students manage the entire spectrum of a business as it attempts to grow through turbulent market changes.